We caught up with the team of GoodBarber, a DIY iPhone and Android mobile app startup based in Corsica, ahead of Mobile World Congress 2015, to find out more about what the company is all about. Being a fans of all things DIY for self-starters, public realtions and statups, we thought you may also want to find out more about GoodBarber and what they offer. See our Q& A conversation below. Q: Please tell us a little background about GoodBarber and why you started the company? A: Our CEO Dominique Siacci went directly from being a student to being an entrepreneur in Corsica, France. He created DuoApps in 2009 (the mother company of GoodBarber), which was right around the same time that the App Store was opening to developers, and started out working with bespoke apps (custom made apps) for iOS. He quickly realized that being a business in Corsica required a much more scalable model, which brought him to the idea of transitioning to a DIY solution—a more feasible option. The pivot proved to be very successful, and through continuous updates and improvements based on evolving user needs, GoodBarber has developed into a dynamic company that works with users all over the world to transform their projects into beautiful apps. A: The business really made a big switch from service based (developing custom apps for individuals) to a product (creating one tool that allows users to ultimately create the project themselves). DIY projects are great because they allow the user to create exactly what they are envisioning, but often times they are accompanied by the need for a very specific set of skills, and this combination was something that was lacking in the app marketplace. Several years ago, the transition from paying for website development to creating one’s own website through WordPress was seen; Dominique had a feeling that this concept would be the future in the app industry as well, thus taking the risk and diving into the DIY revolution. Dominique created a system where the user does not need to have any type of knowledge related to creating apps—GoodBarber does the dirty work, providing the interface that is the intermediary between the complex coding and the creative user, leaving them with the fun and easy part. The DIY aspect includes choosing the design of the app, the content, and the functionality based on the project, etc., but does not require any coding expertise, thus making the DIY app concept completely attainable. Q: How much can someone save if they DIY their own app? A: Having an app created by a developer ranges greatly based on its functions, but the cost of developing an native app can range anywhere from $5,000-$50,000, just for one app for one device! When an app is created native, every part of it is created and coded to work perfectly with the device it’s displayed on, thus requiring a lot of time and money. Native apps are the kind of app created with GoodBarber, but we take the work out of this extensive process and leave the user with the fun part, saving them money as well as a big headache! The user also does not have to worry about creating a separate app for each type of device (iPhone, Android, tablet, etc. ), they can make their app one time and GoodBarber makes it compatible and native for each device. Q: GoodBarber offers anyone the chance to make an app in 7 steps, what is the process like and how long does it take to DIY an app? A: In a nutshell, the process goes from choosing an overall theme and navigation mode for the app, adding the desired content, designing the individual sections of content, selecting splashscreens and icons, and finally testing the app and submitting it to the stores. Each project is different, and how long it takes to complete a project depends on how deep into the platform the user chooses to go, but on average a beautiful app can usually be created in a matter of only a few hours. After this, it takes a few days for the app to be published on the stores, but in general it is a very quick process. Q: What are the biggest challenges you have faced in starting GoodBarber? A: Every time we add a new feature to the platform, we must think of it in terms of both generic and customized at the same time. The feature must be made in a broad enough way that it to be easily used by everyone, but also must be flexible enough to adapt to any idea. The challenge is to have a one size fits all products that can create very different, specific results. Also, growing internationally has been a challenge, especially since the company does not have the advantage of being based in a large city conducive to startups. We realized early on that even if we were not located in a very internationally diverse city, it would be necessary to have an internationally diverse team in order to properly assist all of our future clients. Luckily, with the combination of great marketing and a competitive product, we have managed to thrive and now work with individuals and companies all over the world. Q: Who is using GoodBarber? A: GoodBarber users can be anyone from small business owners to a church youth group to professional app developers. The important thing is that anyone can use the product, regardless of their skill level. A lot of businesses use GoodBarber as an easy, cost-efficient way to market and enhance their companies, while professional developers use the platform for developing multiple apps for clients. In the case of the latter, more advanced individuals have the option to access deeper customization settings and put their coding knowledge to use. If you would like to find out more about some specific GoodBarber apps, you could take a look through some of the apps we have showcased which also include customer reviews about GoodBarber here. Q: Do you help guide a customer through the DIY process? And how? A: Absolutely. Just because it is a DIY platform does not mean our users are completely on their own! As soon as a user signs up for a free trial, they are offered the opportunity for a one-on-one Skype session where we offer advice on their project and answer any initial questions they may have. As they continue to build their app and throughout the lifetime of the app, we have a support team available to answer all questions (in several languages), as well as a consistently updated blog with helpful articles, video tutorials, and news related to the industry. Q: In a very crowded marketplace of apps, is it worth it to build one, and why? A: It’s true that the app marketplace is very crowded, but at this point in time, if your business strategy does not include a mobile aspect, you are very far behind. There are many components to the term “mobile” (hybrid apps, native apps, mobile sites, etc.) and each one of them addresses a different target and need. Native apps provide a very high level of user experience, resulting in an unmatched technique for engaging and retaining users, making building an app an absolutely worthwhile project. Q: What’s your long term plan? A: We like to set our sights high—the goal is to become one of the top three app builders out there, and in order to do so we plan to adapt the business to the technology that we believe will be a very large part of the future: connected devices. Connected devices are going to be huge, and the way in which they will be managed will be by people, through their phones. If GoodBarber apps can play a role in managing connected devices, this will be huge for our future growth. 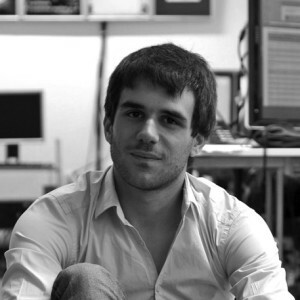 Q: Tell us about being a startup in Corsica. A: Corsica is an amazing place to live, but can be a challenging environment to thrive in as a startup. As many startups tend to be based in more metropolitan areas, we have to deal with limitations regarding hiring processes, networking, and gaining exposure. It requires some hard work, but it is all worth it in the long run. Are you getting ready for Mobile World Congress 2011? Let Hai Media Group help with your planning. This popular new app for Android and Symbian phones gives your mobile home screen a complete makeover, and connects you to Twitter, Facebook, news, entertainment, weather and even Groupon deals. The new app has also been featured in PC World, Stuff UK and will be reviewed in T3, among hundreds of other blogs and media outlets. *Spark is a free app and can be found in the Android Market and Nokia’s Ovi Store. In just a short beta period *Spark attracted 100K downloads, and since launch late last year, has grown in popularity in 150 countries. At Mobile World Congress 2011 you’ll be able to meet with CEO Mark Anderson, where the company will provide a news announcement. Additionally, To guide you to this year’s Mobile World Congress 2011, Hai Media Group has put together tips on events happening, and included some veteran insight from mobile marketing and media specialist Helen Keegan, who has attended for the last six years. You may know her as the mobile blogger Technokitten or follow her on Twitter (@Technokitten). 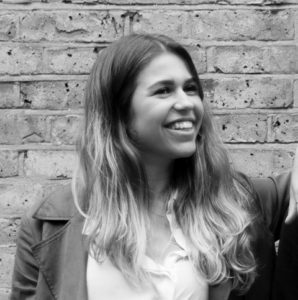 She also organizes the popular Swedish Beers (@swedishbeers) event and Mobile Monday London ( @momolondon). Mobile World Congress veteran Helen Keegan suggests you be sure to check out App Planet in Hall 7, which is expected to be even bigger this year with more exhibitors, more seminar and conference sessions and more to do. Based on what was spotted at CES in Las Vegas earlier this year, expect to see a lot of tablet devices in the main devices Hall. And don’t forget to look out for the best of British at the UKTI pavilion and the usually impressive technology innovations which can be spotted at the Israeli country pavilion. Keep your kit minimal, leave anything you don’t really need at home, and do get a Yoigo sim card, as it in previous years has had the best Pay as You Go rates for data and calls. Extra gadgets to worry about can make you a crime target. Definitely don’t take your laptop or briefcase around with you, and hide your Congress badge when you leave the venue. Barcelona is notorious for pickpockets and muggings so be street smart both inside the venue and out and about. Bring a spare phone, in the unfortunate event that you get robbed. Many do. See more on Helen’s tips to stay safe at this blog post. When it comes to networking events and parties, go with the flow! Helen says to keep your ears open for random parties that come up during the event that aren’t always publicized, which can be the best ones. The Mobile Entertainment Forum is always popular and Swedish Beers should not be missed. Nokia generally runs a party, usually invitation only, and attendants have loved it in past years. Mobile Monday has in works a couple of worthwhile panel sessions to be hosted with United Kingdom Trade and Investment (UKTI). Blue Via is sponsoring the Mobile Premier Awards in the company’s Barcelona offices. If you can make the time, a fast way to check out the sites of Barcelona is to take the tourist bus, that will show you the city’s amazing architecture, with discussion on the history. Stroll down La Ramblas where you’ll see many creative street performers. To be recommended is St Eulalia’s feast where they have the Little Devil’s parade in the Old Town on the Sunday night. It is spectacular if you get chance to see it. Helen says that you’ll need to pace yourself at Mobile World Congress and remember that it is a marathon and not a sprint. Get organized, plan well with your team, wear comfortable shoes and don’t forget to eat properly. As you book meetings, try to see the people you wouldn’t have opportunity to meet at home, the international event attracts business from every country in the world. Be sure to leave time for attending all the evening events and parties, where you just might meet someone who could transform your business prospects. The sixth annual Mobile Sunday – an unofficial, informal and generally cool and funky gathering of mobile bloggers and their chums is hosted by Rudy de Waele (m-trends.org), meets at one of the coolest bars in Barcelona, the VINTAGE, that has a spacious, jazzy, loungy atmosphere with various rooms and salons. On offerfor 500 guests is drinks and nibbles, a heated terrace, sofas, private salons, four screens and a dancefloor. Attended by start-ups to VCs, operators to handset manufacturers, making an influential crowd. This is also a unique chance for you to meet the most influent bloggers writing about mobile and to meet the MobileMonday global chapter founders in one spot during the conference. The MEF EMEA board is committed to creating local trade development opportunities, providing regional market insight and briefing the membership on legislation affecting their businesses in Europe, the Middle East and Africa. For this year’s elections, there are five vacancies for the EMEA board at the forthcoming elections on Monday. If you are a Full MEF member and would like to run for the EMEA board and contribute, send in your 200-word campaign statement and photo (jpeg format) to Sarah Roberts. As well as the elections, the meeting will provide a round-up of MEF’s activities and an opportunity for members to discuss the agenda for the year ahead. The AGM is open to all MEF members. If you would like to attend, please register at the website. MEF Connects @ MWC in association with Dolby is back and expected to be even bigger and better. A night of cocktails, tapas and art among 13th century architectural surroundings. Guests will also have the opportunity to visit the world-famous Picasso collection upon arrival. *Please note this is a MEMBERS-ONLY event and each member company will only be allocated a fixed number of tickets. Please visit the website to register. WHERE: Alsur Cafe el Born: Carrer dels Carders 17, Barcelona. *RSVP required, please visit website. Each year in February we get together to celebrate our true love to mobile devices by taking part in Mobile World Congress, which starts this year on February 14th. To share your passion to mobile we are happy to invite you to Mobile Valentine’s Day party at MWC 2011. Bring your good mood, networking skills and friends with you. This event is sponsored by Mobile Europe Magazine, SPB Software and Camerjam, who make sure there will be enough food and drinks for all. The Awards presentation will take place in a special ceremony during Mobile World Congress, followed by the official Congress Party & Awards Celebration event. The afternoon Global Mobile Awards Ceremony is included in Gold and Platinum Passes. The evening Congress Party & Awards Celebration is included in the Platinum Pass only, but may be added on to Gold, Silver and Exhibition Visitor Passes for an additional fee. This evening event provides attendees with fantastic high-level networking opportunities – while enjoying world-class entertainment. This year we’re pleased to feature Grammy and Brit award-winning singer/songwriter Duffy. Welsh singer-songwriter Duffy won the Grammy Award for Best Pop Vocal Album for Rockferry in 2009, and she was nominated for two other Grammy awards. The evening Congress Party & Awards Celebration is included in the Platinum Pass only, but may be added on to Gold, Silver and Exhibition Visitor Passes for an additional fee. See the website. The GoMo News Blender now in its fourth year has become a symbolic, yet legitimate path of the institution that is the Mobile World Congress. Last year at the Blender, they drank the bar dry; twice! In 2010, readership on GoMo more than doubled and are hitting over 300K page views a month. Sponsors this year, for the second year running are Smaato and Diffusion PR who have doubled the investment, so there will be more food and drink for all. This forum will bring together suppliers and users of mobile technology and know-how from all over Europe (and other countries such as Canada, Israel, United States and more) to discuss solutions and new opportunities for the future. The Mobile Brokerage Event 2011 is the ideal environment for: small and medium-sized enterprises (SMEs), offering and those looking for new technologies; scientists and research institutes offering innovative RTD results; start-up companies and entrepreneurs; operators willing to meet innovators and added-value service providers. Swedish Beers is an ad hoc (roughly quarterly) networking event for folks with an interest in mobile technology, mobile marketing and mobile media. You don’t have to be a geek to attend, and they actively encourage people to join us from all industries – media, creative, marketing, mobile, telecoms etc. This is “THE” Developer Party at MWC so make sure you come and connect with all the members of the mobile ecosystem. This won’t be just any boring old party. By popular demand, we are bringing back “Jameoke” for the third time – bigger and better than ever! Best practice up for the fun! WHEN: Various times and days. *See website. WHERE: On site at Stand AV26 and seminars at Sala Principe in Hall 8. UKTI is partnering with the Digital Communications Knowledge Transfer Network (DCKTN) to bring a comprehensive UK programme to this year’s Mobile World Congress. This includes innovative technology displays on the UK Technology stand and a technology seminar programme. Are you hosting an event at Mobile World Congress 2011? Please leave a comment and let us know what’s happening! Hai Media Group had a busy and productive year in 2010. In fact, we were so busy that we didn’t really have time to update this website. The year was spent helping clients with PR campaigns, blogging, guest lecturing, and getting out to a lot of industry events. Representing HipLogic, a rising star mobile technology company in Silicon Valley that is in-part funded by Benchmark Partners, the same investors who fund Twitter, we promoted news announcements, and helped build up awareness for the brand in Europe. HipLogic has figured out a better way to help people access social media and information content on your mobile phone. They offer a free application called *Spark that connects you with Twitter, Facebook as well as news, entertainment, weather updates and shopping deals from Groupon. The application can be personalized, allowing you to mash-up the information you are receiving on your handset, selecting what you want to receive, or want to skip. For *Spark, we first got excitement going for the beta period, in which 100K people downloaded and tested out the app. The beta version of *Spark was featured in Stuff UK, among other outlets. We launched the full release version of *Spark in December, handling press relations in Europe. Top coverage included a review in The Sunday Times ingear section, an upcoming feature in T3 magazine, and attention from top industry blogs including Allaboutsymbian.com, Androidguys.com, Mobile Marketing Magazine, Mobile Entertainment, GoMo News, and many more. 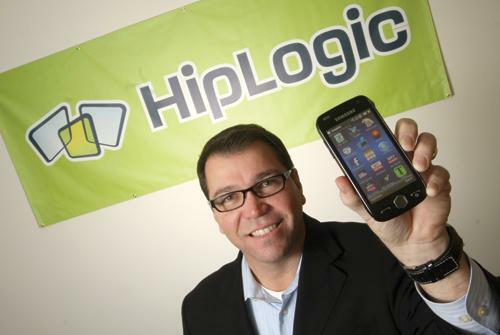 Press was particularly interested in HipLogic’s new alliance with Groupon, which is the first of its kind between the massive deals company and a mobile application developer. In the UK, *Spark is the best way to get Groupon deals on your Android phone. Earlier this year we also announced HipLogic’s partnership with The Carphone Warehouse, and secured attention for this partnership across mobile industry blogs, including an analysis by influential blogger Ajit Jaokar who writes the Open Gardens blog. Hai Media Group represented Robots & Avatars, a programme of events and educational activities. It is designed to explore how young people will work and play with new representational forms of virtual and physical life in 10-15 years time. As part of the programme, debates on topics of the Future World of Work and Behavior and Ethics have been held in London, with leading robotic industry experts and academics. The debates can be viewed on the Robots & Avatars website. Schools throughout the UK are booking learning experiences offered by Robots & Avatars, with the team coming into classrooms to present interactive lectures on how to build and use avatars, and discussion about career opportunities in the field of robotics. Robots & Avatars is funded by NESTA, and founded by the art and technology collective body>data>space. We secured attention for the programme with the BBC Outriders, T3 magazine, The Hackney Gazette and a number of educational outlets and blogs covering technology and robotics. We were particularly excited about the T3 magazine feature, a full page article in the December 2010 issue, offering an interview with Robots & Avatars founder Ghislaine Boddington. We promoted the second annual Vodafone Mobile Clicks competition, a search for the best, most innovative mobile internet start-ups in the United Kingdom, Netherlands, Portugal and Spain. This year’s competition saw more entries and received extensive media coverage across Europe. The first place winner was Cardmobili, who received €100,000. Second place was awarded to Roulette Cricket, who won €50,000. We teamed up with Mobile Monday London and mobile expert Helen Keegan to work with Vodafone in promoting this major contest for European mobile technology start-ups. 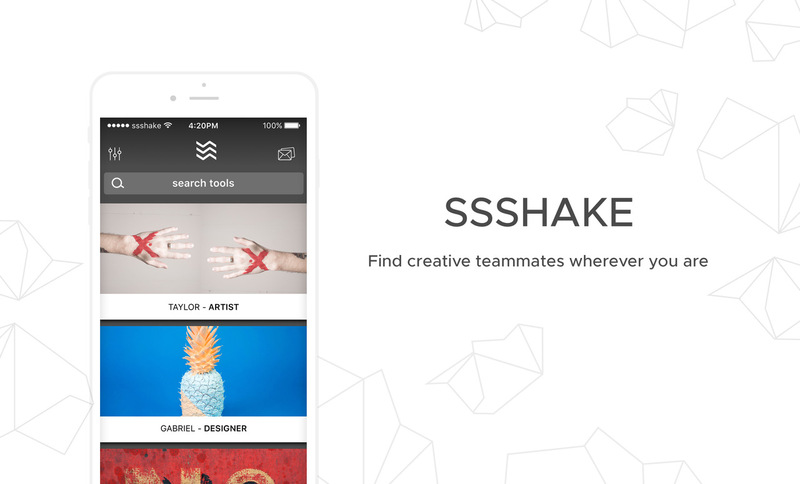 StreetSpark is a mobile application that 50K+ people are using in London to meet other likeminded singles. The app uses your phone’s mobile GPS system to locate available people in your immediate area who have similar interests. Unlike other mobile dating apps, this sophisticated technology can match you with others who share your taste in music, food, entertainment and culture. Top media attention we secured for StreetSpark appeared in Stuff UK, Cosmopolitan, Londonist.com, UrbanDaddy.com, Telecom TV, and more. Hai Media Group’s Director Lisa Devaney continued serving as a trainer for Pinnacle PR, teaching public relations professionals from across Europe, the Middle East and Africa, the tips and tricks of PR 2.0. In a full-day course, she teaches how Web technologies, including social media and blogging, can be integrated into promotional campaigns. This year she travelled to Brussels several times and to Berlin, where she trained public relations managers from across Europe preparing to promote European Mobility Week. Hai Media Group’s Director Lisa Devaney hosted a DIY PR Workshop at the Over the Air mobile developers event in London, along with technology public relations star Lauren MacGregor. About 30 attendants provided positive feedback about the workshop, that showed how to promote your mobile application or service with low cost, creative planning and tactics. Throughout 2010, we collaborated with Joan Smith, of Clarendon Media, a cross-platform media expert, to develop a transmedia entertainment property. We explored how to use the online medium to tell an eco-sci-fi story about humanity living on the brink of climate change. Ark is set 30 years in the future, and is under development to be told across Facebook, as a eco-survivalist game, in a book, and to be pitched as a TV programme. This year we also want to say thank you to the talented folks who pitched in to help from time to time. Thank you Jocelyn Brandeis, our PR associate in New York City who supported USA outreach efforts. Thank you Mary Epworth who is showing a real knack for technology PR, in addition to being a beautiful and talented singer and songwriter. Thank you Katerina Hejralova for help and support in 2010, who has gone on to start a promising career with London agencies specializing in PR 2.0. Thank you Kinura for ongoing help with maintaining the Hai Media Group website. Hai Media Group is now supporting HipLogic with PR services in Europe, introducing media to the popular HipLogic Live application, a free download for Symbian, Windows Mobile and Android handsets, that CEO Mark Anderson describes as being an “extreme makeover” for your phone that will deliver an iPhone-like content experience. HipLogic Live pulls content from real-time sources like Facebook, Twitter, Sky, Disney, Sports, Weather, newsfeeds and more, through a smartphone-like interface. It works by delivering push content notifications to the phonetop without using SMS. This means that they bring the world of applications, widgets, live search and real-time notifications to mass market handsets, without the need to invest in a new smartphone.